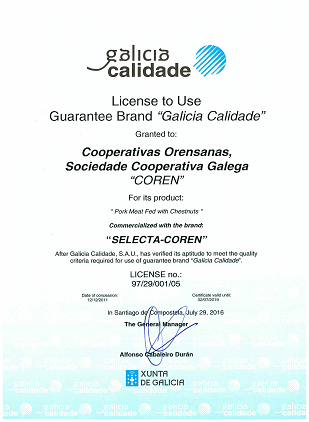 Galicia Calidade certifies a Galician service and product quality, as well as a Galician design, production or raw material provenance. 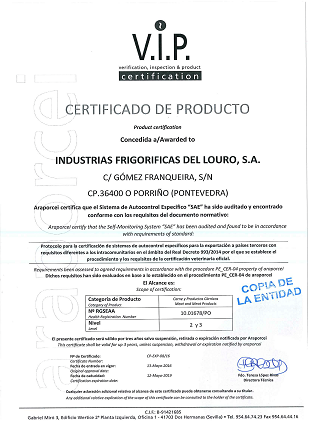 This distinction is granted once quality is measured according to the established controls. 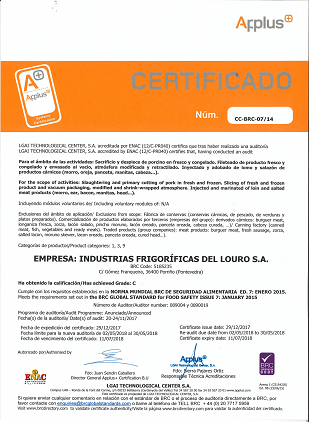 Specific self-regulation system certificate, for the export of meat and meat products, composite products and processed fishery products, to third countries. 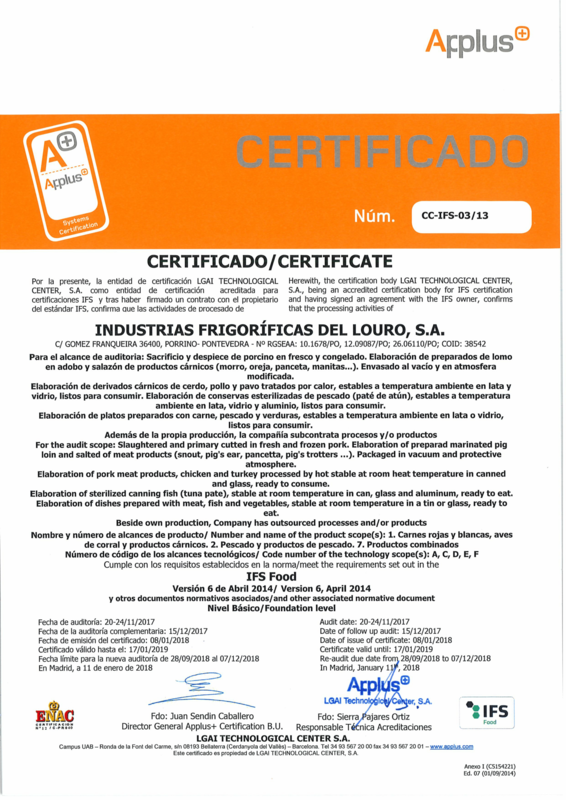 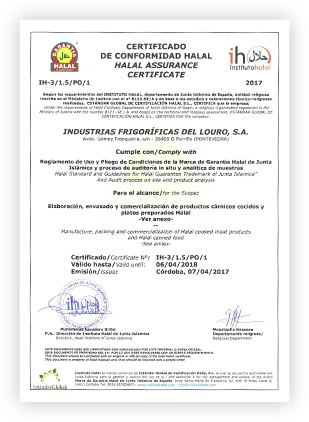 Halal warranty certification is the tool that Halal Institute has put into motion for guaranteeing that products and services which are aimed for Muslim people comply with the requirements demanded by Islamic law and are therefore suitable for consumption in Spain, in the EU and in Muslim-majority countries.